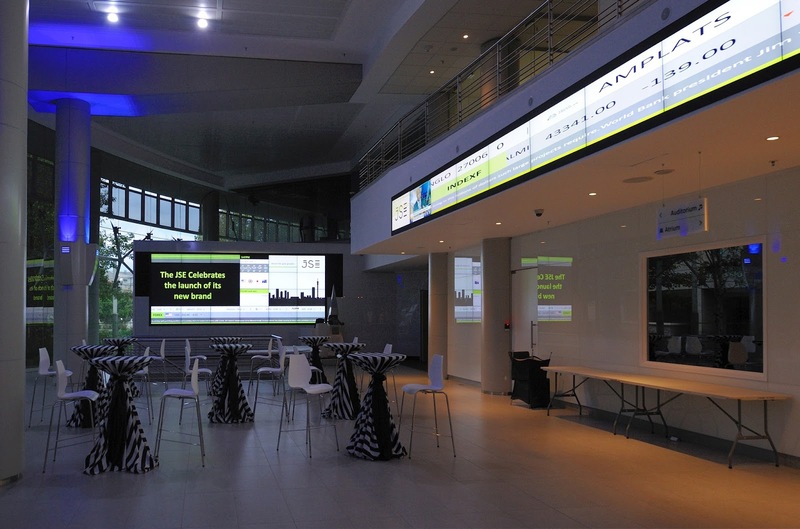 JOHANNESBURG, South-Africa/APO/ – Today the Johannesburg Stock Exchange (JSE) revealed its new brand which demonstrates their identity as a "modern African marketplace that connects investors to growth opportunities globally." while the typography takes on a clean, digital feel." The revitalized brand follows on from an extensive brand audit where clients, employees and other stakeholders discussed their perception of the exchange and where the exchange needed to focus its energies. “At the JSE we've been doing some serious thinking about our positioning in South Africa and the world. Our visual identity needed to represent our position as a leading African exchange which is driven for stakeholder growth and showcase the strong technology component of the business. It also needed to be more accessible to investors,” says Zeona Jacobs, Director of Issuer and Investor Relations at the JSE. From the outset the JSE wanted the new brand to have meaning rather than just being a superficial make-over. The choice of black gives the brand a bold identity while the green symbolizes growth and prosperity. The stacked lines or links in both the logo and other elements of the visual identity illustrate the JSE’s role as a secure platform for growth. “When you strip everything away, the role of an exchange is to act as a link. A link between listed companies, investors, global markets and between human solutions and digital technology,” adds Jacobs. The rebranding project, due to the extensive consultation, employee involvement and a complete website redesign, took just over a year to complete. “A large component of the JSE’s marketing strategy is digitally focused and our website, as a key part of this, needed a complete make-over. The new website fits well with our desire to become more accessible. We want the website to be a rich source of content for existing and potential investors regardless of their level of knowledge as the being the ideal listing destination for companies to list,” continues Jacobs. Along with the change to the exchange’s visual identity, brand names such as the Bond Exchange of South Africa (BESA) and the South African Futures Exchange (SAFEX) will fall away. “The JSE acquired SAFEX in 2001 and BESA in 2009 and we believe that these services have now been fully integrated into the exchange’s business. This also allows us to promote one cohesive brand rather than a cluster of related brands,” concludes Jacobs. The JSE’s derivatives clearing house Safcom will now be known as JSE Clear. The JSE’s hedge fund platform management business Nautilus, as a differentiated business within the JSE’s group of companies, will not change its name. While the brand is officially launching today, all elements will be implemented in a phased approach until December 2014. The Johannesburg Stock Exchange is based in South Africa where it has operated as a market place for the trading of financial products for 125 years. It connects buyers and sellers in equity, derivative and debt markets. The JSE is one of the top 20 exchanges in the world in terms of market capitalization and is a member of the World Federation of Exchanges (WFE). The JSE offers a fully electronic, efficient, secure market with world class regulation, trading and clearing systems, settlement assurance and risk management.